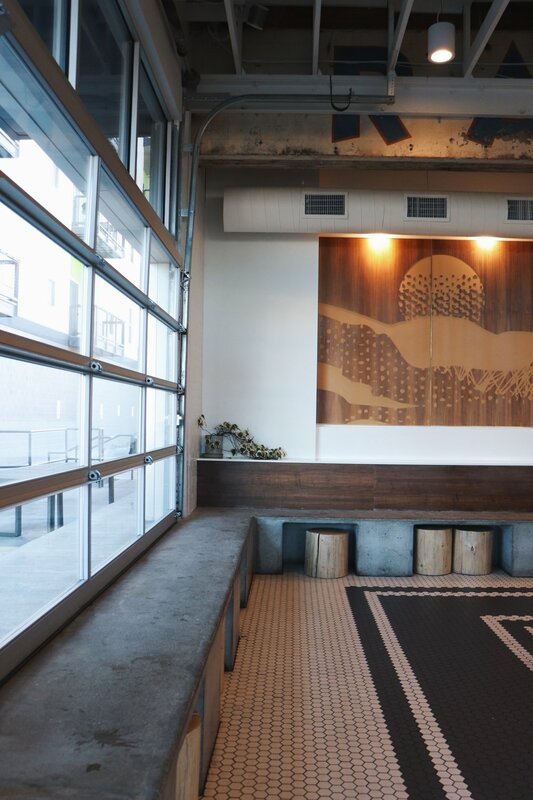 It's no surprise for places like Colorado Springs to emerge as a breeding ground for good coffee, as a new wave of craft coffee culture in America and around the world further decentralizes. It is cloudy and sprinkling today in San Diego and the delicious coffee that my senses had the opportunity to enjoy in Colorado Springs have me wishing I bought beans to take home with me. These snaps would have to suffice so join me as I reminisce about heavenly crafted coffee in warm atmospheres that made me feel whole. Best pour-over coffee hands down in Colorado Springs! Switchback Coffee Roasters was the first coffee shope I visited during my birthday weekend and quickly became the favorite that had me coming back for more to taste more of their small-batch roasted beans. 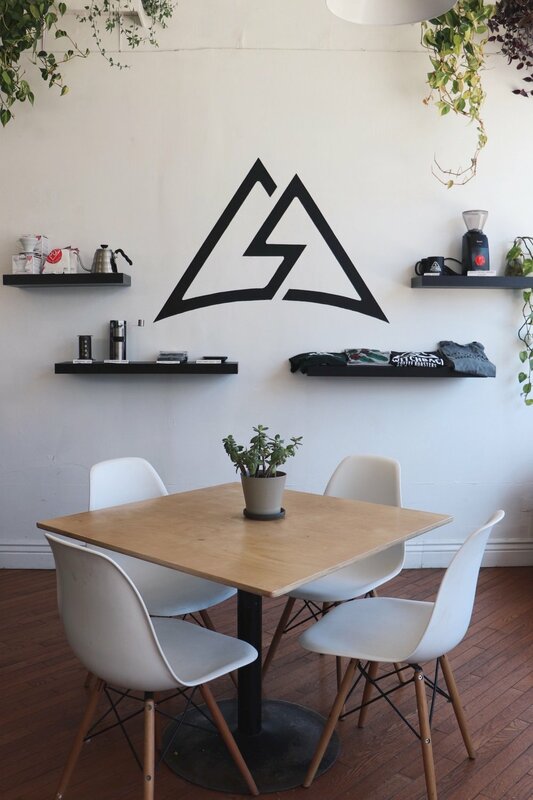 "Coffee is Community" is Switchback's mantra and this is exactly what I felt hanging out in their homey, friendly, neighborhood shop. The home to a top 10 barista artist and "best cup" in the nation, the Switchback family serves the community with no ego and all love. All the baristas naturally connected with me on a personal level, studied my coffee preference, and kindly celebrated my birthday with a candle on my mouth-watering waffles. You must try their winning Colombia pour-over boasting with flavors of blackberry, pear, and guava. A new friend or two included. Colorado Spring's beloved Loyal Coffee won best roast nationally and I had the pleasure to experience why. 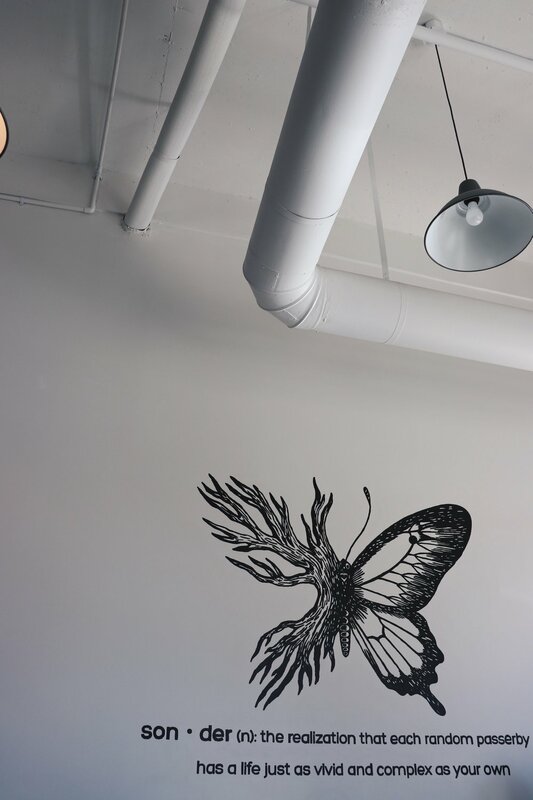 A barista-owned shop that is hands-on with the community and it's local artists, it's easy to be loyal to this coffee leader in the Springs. 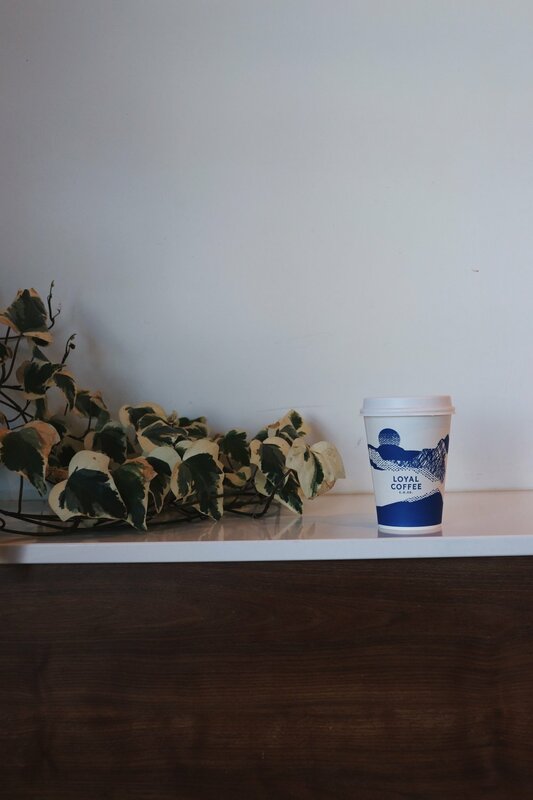 The Double Zero Blend is the perfect espresso for my latte with notes of chocolate, stone fruit, and citrus. 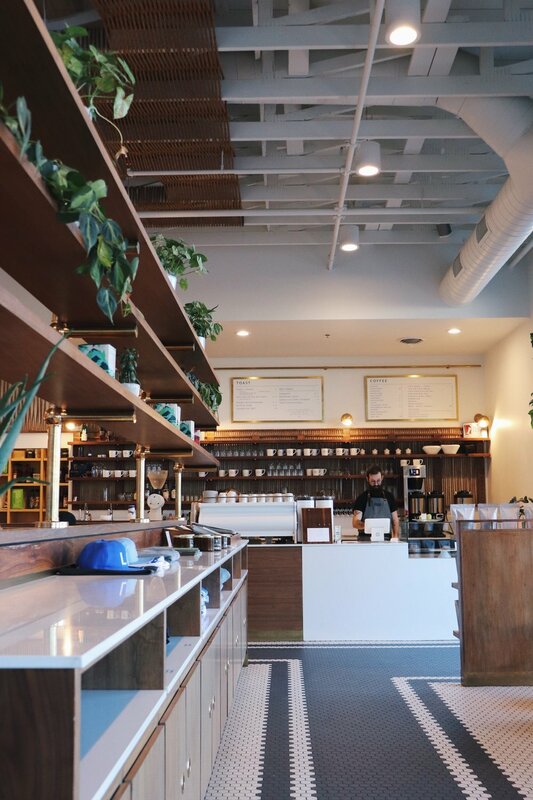 Interiors of a mid-century mod look, dark walnut wood and brass combination, and natural lighting with a passionate staff is the perfect recipe that makes Loyal Coffee an easy and comfortable home away from home. Once you visit the second time, Loyal Coffee will make you feel like you're more than just a customer, you're Loyal, so you're family. Also, they featured me on their IG account. Loyal and I are totally fam now and I am so honored to be a small part of their art. I'm bummed that I didn't get to try their cheesy and creamy food menu which means I must see the fam and plan a trip back. Cutest of the cutes because who could be mad at a coffee shop inside a tiny house? Don't let the cuteness fool you though because their coffee will have you questioning ARE YOU KIDDING ME with every sip. 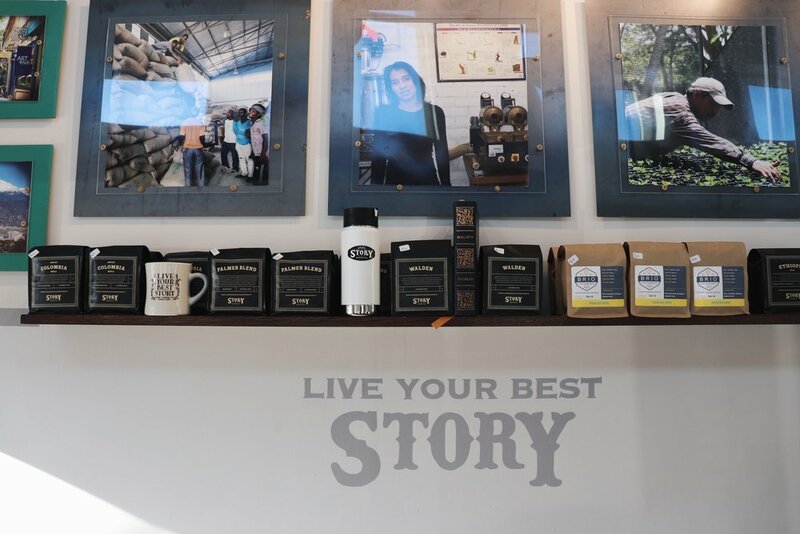 Story Coffee is serious about their craft and is proud of their Colorado Springs roots. Keeping in the minimalist theme, there's a limited menu with your basic yet essential coffeehouse options: latte, espresso, mocha, macchiato, with a couple signature drinks. Sit deck-side for gorgeous views of Pikes Peak while enjoying a fantastic not-too-sweet but a perfect blend of a sea salt caramel latte and their homemade pop-tart. Sonder Coffee & Tea is located east of Downtown Denver and I am so glad we stopped by this gem before flying back to San Diego. 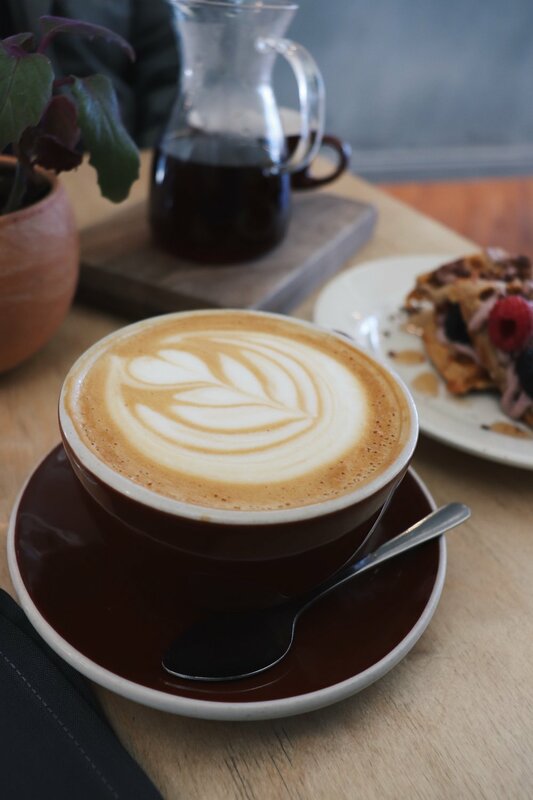 Solid beans from Corvus Coffee Roasters with delectable in-house syrups make their signature drinks like the honey lavender latte a must-try. 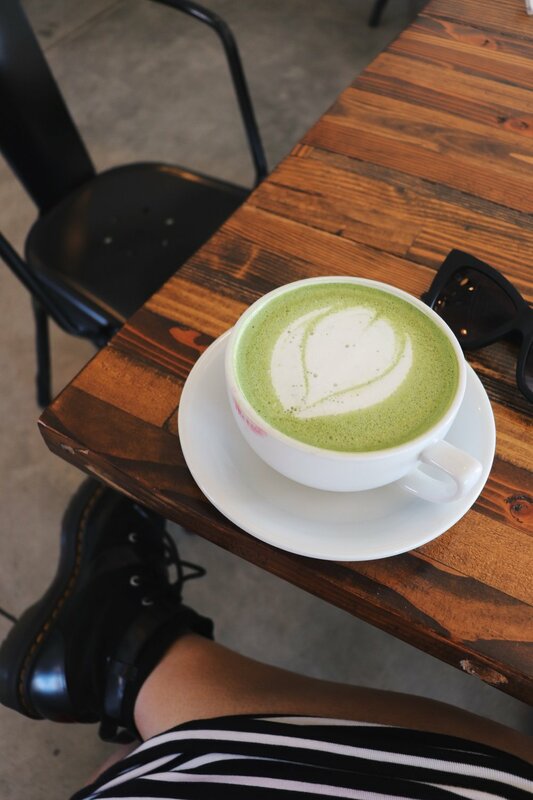 My picks were their delicious matcha latte and their signature drink on ice to go. 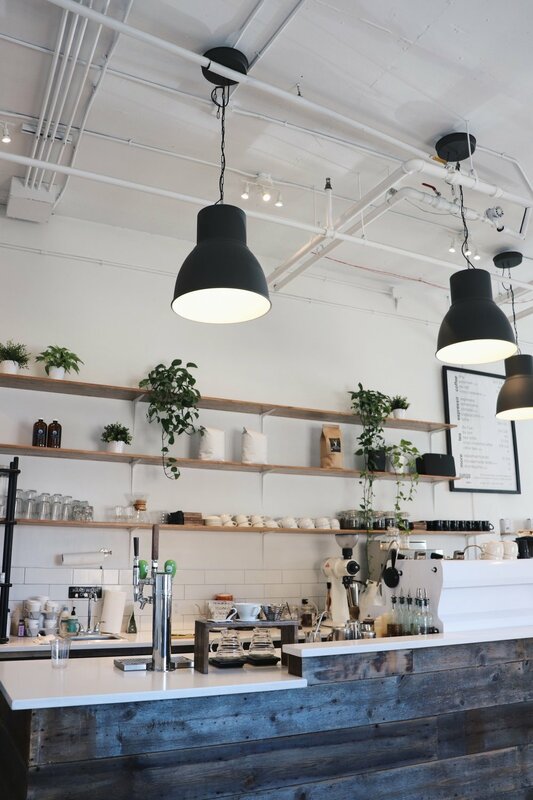 From hardwood tables, stone counters, and abundant light to the carefully composed coffee servings: Sonder has the coffee shop it factor. It's the kind of place you want to hang with friends, linger, chill in their iconic sofa and contemplate what it means: "sonder." I can't be all surprised that Sonder has their coffee-game strong. Their gorgeous IG account says it all. Colorado Springs’ coffee scene is making its mark even more so with its national awards that are very well deserved in my opinion. More than just fluid that infuses energy into our bloodstreams, the variations to the cups of the best substance God ever created available in Colorado Springs and surrounding areas are truly significant and was a pretty delightful gift for my birthday weekend. 'Til the next Coffee Tour, Bebots! Thanks for allowing me to share!